The cats are provided necessary veterinary care, spayed, neutered and fed year-round. Kittens and friendly cats are adopted and placed in loving homes. Hundreds of homeless cats have been rescued and placed in loving, adoptive homes by the Moore Foundation. When the Moore Foundation rescues cats, they are taken to a veterinarian for an examination. The sick or injured cats are provided necessary medical treatment and rehabilitated by the Moore Foundation before they can be adopted. By working with veterinarians and providing funds for critical care, the Moore Foundation saves pets with medical issues and enables them to live happy lives. The cats that cannot return to their previous homes, as well as the cats that are homeless and unadoptable, are provided lifetime care at the Moore Foundation. Founded in December of 1999, the primary goal of the Moore Foundation is to provide care and medical treatment for sick or injured cats. The Moore Foundation provides lifetime care and a home for cats unable to find good homes because of illness, age, temperament, loss of limbs or some other infirmity. 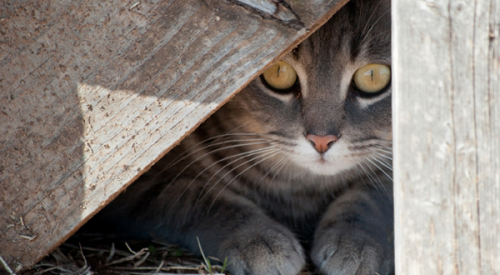 The Moore Foundation also manages and supports programs to take care of the abandoned and feral cats at racetracks. These cats are fed, neutered, vaccinated and provided necessary medical treatment. Hundreds of abandoned, homeless and rehabilitated cats have found loving homes through the Moore Foundation.